My everyday makeup routine changes up more frequently than I would like but I am not mad at it. This past month and a half I have been trying a lot of new products that became my go-to for an everyday basis because not only I love how they make my skin look but also because they are mostly very affordable and for me that is key on an everyday makeup. I do not want to be wearing a more expensive foundation or concealer on an everyday basis when I can have very similar results with more affordable products. 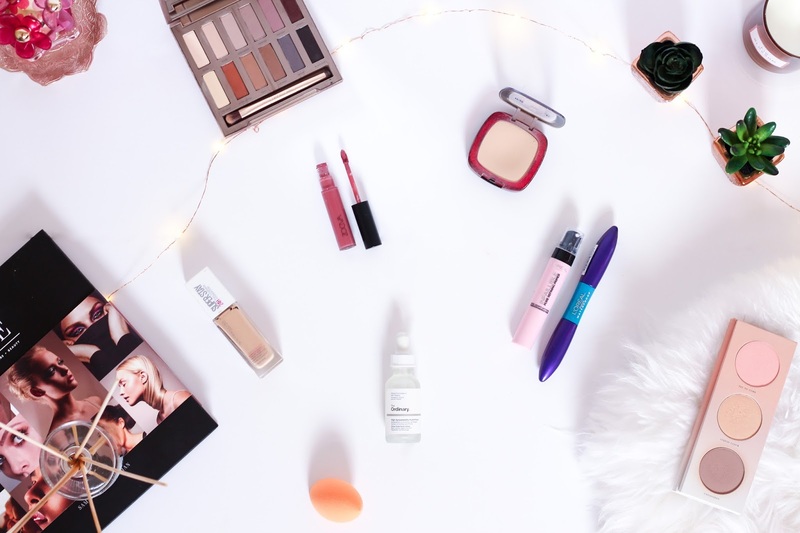 I am the kind of person that will always opt for the more affordable, drugstore products for an everyday wear and leave the high end for special occasions, I am sure I am not the only one, right? As for base I keep it slightly simple and start by priming it with my The Ordinary High-Spreadability Fluid Primer for some extra moisture and then top up with the L’Óreal Paris Pore Refining Primer to smooth the skin and reduce the appearance of large pores. I really like this combination of primers as it really perfects my skin for the foundation. 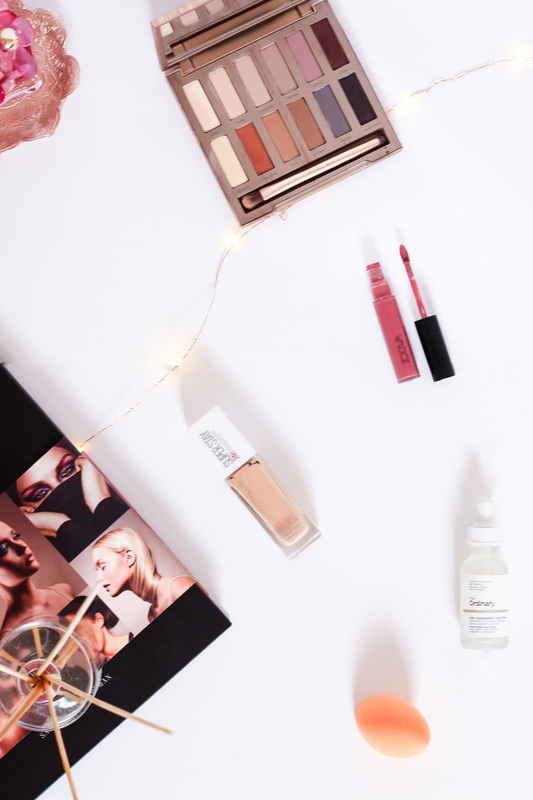 I am a full coverage girl even on an everyday basis and as a more affordable and still amazing option I go with my most recent favourite drugstore foundation, the Maybelline 24H Superstay Foundation. It is full coverage, it dries to a nice powdery finish but it doesn’t look too matte or cakey. It just looks great on my skin and it barely sinks into my smile lines, which is a problem I tend to have with most of my foundations. Love it. As for concealer, nothing new. I apply my trusty L’Óreal Paris True Match Concealer. It isn’t as full coverage as I would like but it covers enough whilst keeping my under eye area very hydrated, something that I always look for due to my quite dry skin. To set everything in place, I powder my face using the L’Óreal Paris Infallible Foundation Powder. It adds a tiny bit of extra coverage and it doesn’t leave your face looking dry. As for contour, blush and highlight, the Zoeva Basic Moment Palette has been my go-to as the blush colour suits most of the looks I go for, the contour shade is perfect and brings back the natural shades and contour of my face and the highlight is absolutely beautiful. For brows, not much changes. I always use the Maybelline Brow Precise Micro Pen in deep brown and set everything in place with the Maybelline Brow Fiber Gel also in deep brown. I can sometimes be lazy with my browns and if I am having one of them lazy days I simply stick to the fiber gel to darken and thicken the lashes a bit more. As for the eyes, I keep it very simple and use the Urban Decay Naked Ultimate Basics Palette and just create the most basic warm brown smokey eye that is day-time appropriate. 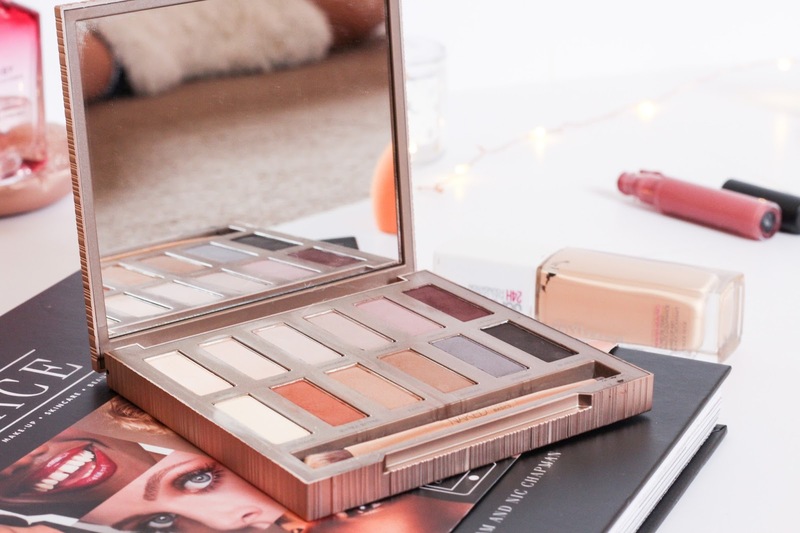 I love this palette for an everyday use but also love that I can intensify the eye shadows if I wish to create a more evening time appropriate makeup. To finish the eyes I apply my favourite mascara, the L’Óreal Paris X Fiber Xtreme Resist Waterproof Mascara. Finally for the lips I go with the Zoeva Pure Velour Lips in the shade Faint of Heart and set everything in place with the NYX Dewy Makeup Setting Spray. And although I don’t have a nice photo to share with you using all the products above, although it is my everyday go-to current makeup, here is a little photo with the eye makeup I tend to go for using the same palette. I find this look quite flattering on my eye shape and very everyday appropriate. Don’t you think? 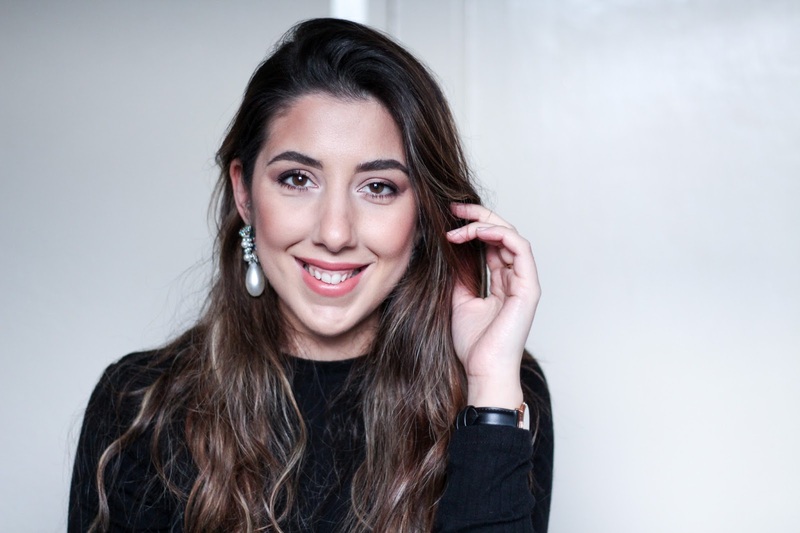 I hope you enjoyed this post and don’t forget to follow me on Bloglovin, Instagram and Twitter for all the updates!